Having a son or daughter getting married has to be one of the biggest moments in a parents life. As Mother of the Bride you are the main troubleshooter and being there for your daughter. Learn how much input is required of you from your daughter, some ladies want to do almost everything themselves whilst others need a little more assistance and listening ear along the way. With the excitement comes the various debates and discussions about 'what to wear', 'colours', 'style' and much more. I have witnessed every conceivable scenario over the years styling Mothers of the Bride or at least I think I have until I am faced with a new one!! 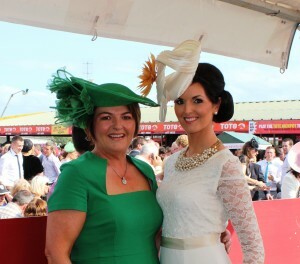 Mums who have never worn a hat before, panicking about what to do. The last thing to do is panic. 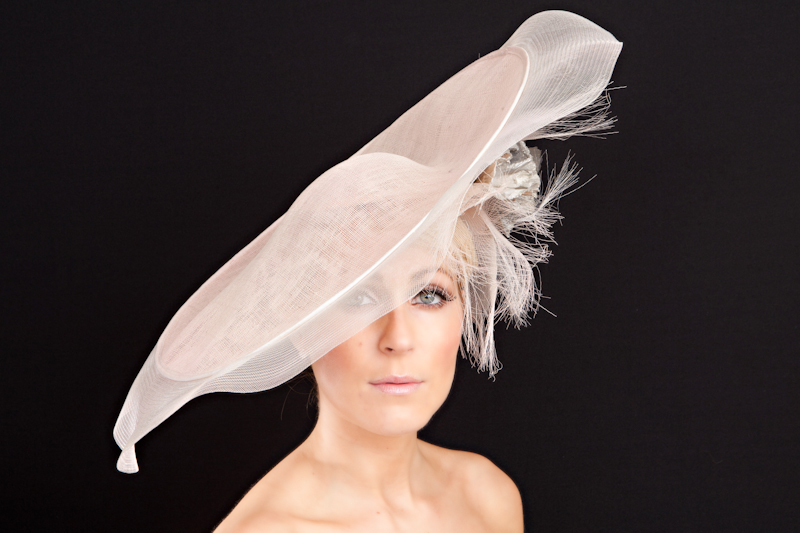 There is a hat or headpiece that suits every lady and when you visit my studio you learn the designs that best suit you and your outfit. With the lapse of time comes the variety and changes in wedding ceremonies. Weddings are held not just in churches now but on a beach, at a castle, in the hotel ballroom or abroad. If you are travelling abroad your hat is your hand luggage!! look that her daughter wants to achieve for her wedding day. This collaboration is wonderful between Mums and their daughters. Spending time with each other during this process is precious and should not be stressful, you should be able to enjoy it and express what it is you feel confident wearing. Mother of the Bride should be dressed for her own role not matching bridesmaids unless the Bride has specifically instructed this. 'Mum' is very important and she should be elegant, look her absolute best but most of all, 'Mum' needs to be relaxed on your wedding day so she can enjoy it, meeting family and friends. Sometimes, the importance of this is lost in all the drama. If you are a little organised and plan ahead, everything will fall into place. You don't have to go shopping for numerous days to find an outfit or dress. 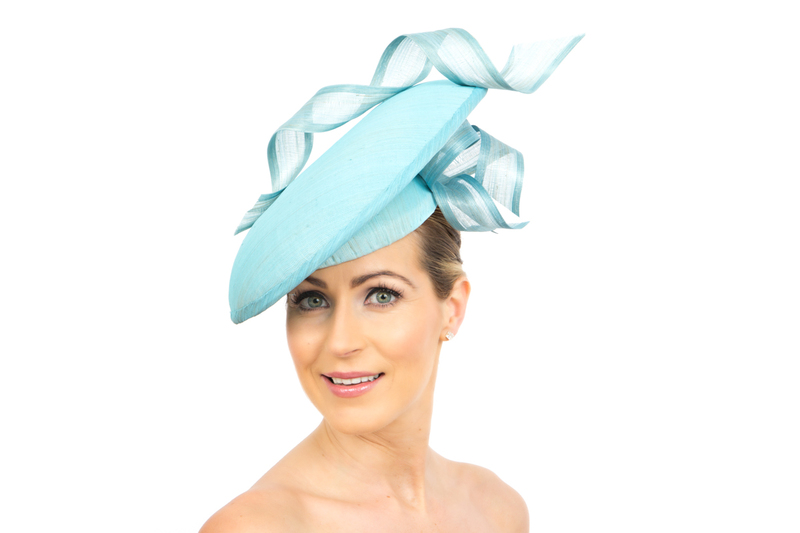 Do your homework first, all the leading Mother of the Bride/Groom Boutiques in Ireland stock an amazing array of labels and staff are experienced in choosing the right style and colours for you. When clients arrive at my studio I really enjoy getting to know a little of their personality as this is key to choosing the right hat design for her. I coordinate all the accessories, the headpiece or hat can be designed dyed to match, occasion shoes and bags are also dyed to match, an array of beautiful clutch bags and occasion jewellery to complement any outfit. 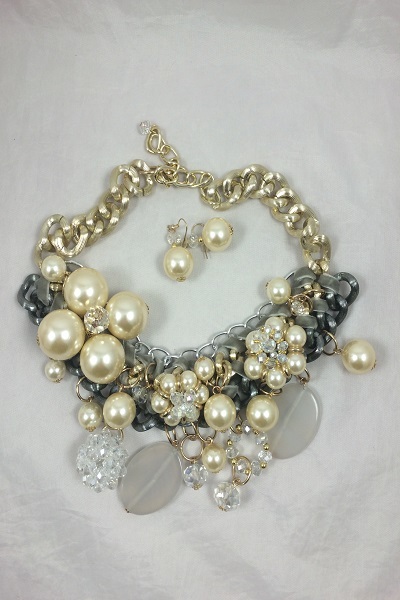 Your whole look can change totally with the right styling. This process is relaxed and often lets us see the real personality of the Mother of the Bride. Giving you a complete look head to toe for your daughters wedding at Suzie Mahony Designs. 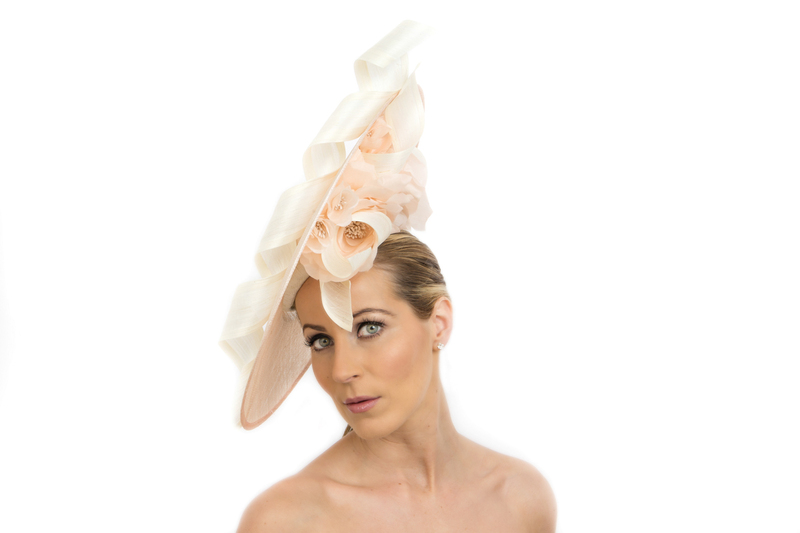 Royal Ascot is synonymous with elegance. I love Ascot, watching all the style, the hats all shapes and sizes, the Royal procession and of course the beautifully turned out horses from around the World. If you never backed a horse you would still enjoy Ascot. 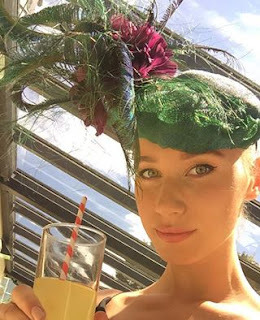 It is the racing fashion spectacle of the year for everyone to enjoy. Ascot actually was first organised way back in 1711 by Queen Anne and has been attended by the Royal Family ever since. With the Hat rules at Ascot you must have a base of more than 4' on your hat. All my blog hats show bases of more than 4'. I always enjoy designing hats or headpieces for Ascot, there is just something special about styling the completed look for a client attending the Royal Enclosure. 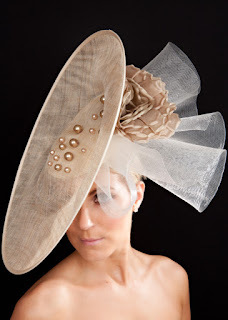 Using the freedom to design from the dress or suit I can focus on the hat design that would look perfect on my client. 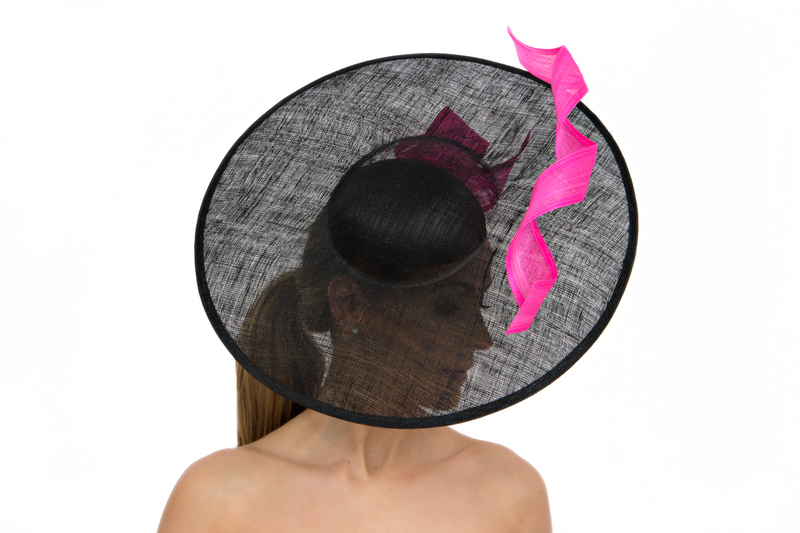 Have your hat designed with comfortable elastics or a narrow headband with foam cushions on it. Ensure you hat is well packaged when travelling. 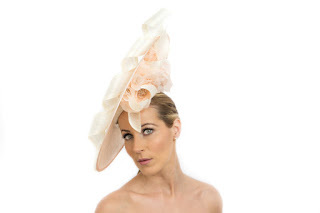 There is a certain elegance and finish about the whole look required for Ascot and this year is no exception. Remember, fascinators are not permitted in the Royal Enclosure. That title for a hair accessory never did appeal to me!! 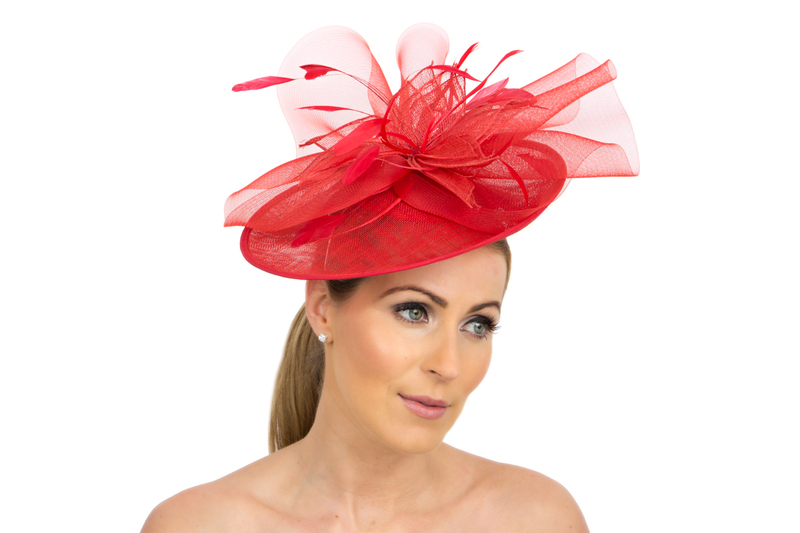 Larger wide brimmed hats are making a return and are the perfect style for the Ascot Classic Look. Strong vibrant colours are popular this season alongside the beautiful soft pastels working together like mixing mint and candy to accent your outfit. 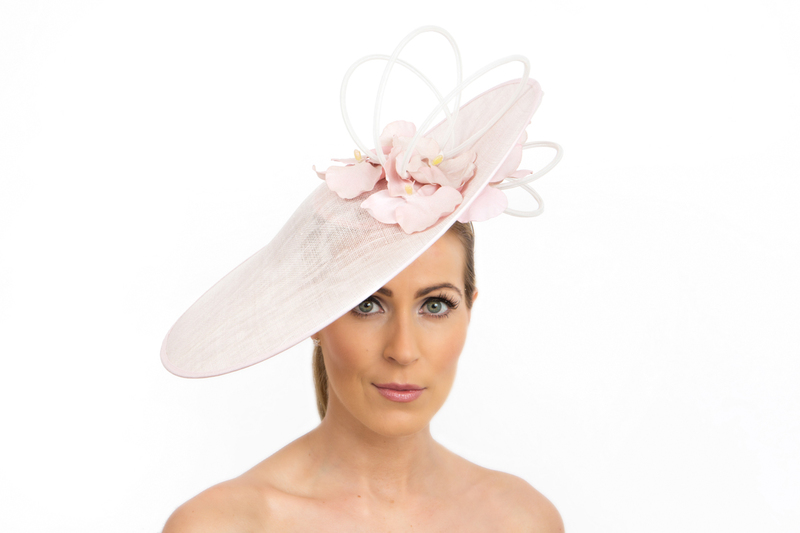 Using a block coloured hat also works very well like this pink orchid hat. 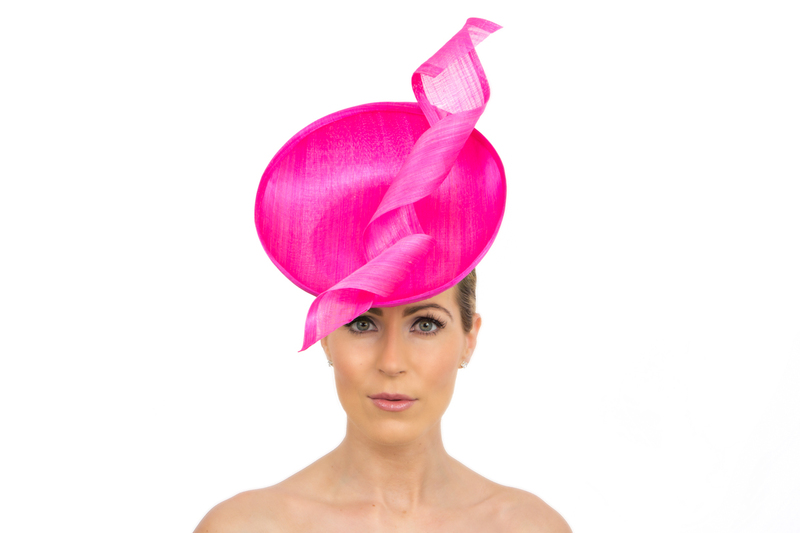 If you are heading to Ascot you should check over the rules before choosing your outfit and hat. Royal Enclosure Rules:- Ladies are required to wear dresses or skirts which are just above the knee or longer. Shoulder straps at least 1 inch wide, strapless or halter necks are not acceptable and no spaghetti straps. If you choose to wear a trouser suit or jumpsuit the trousers must be full length. These rules ensure that the ladies attending Ascot are dressed elegantly, a perfect complement to the Gentlemen in morning suits!! If you haven't got your hat yet, check out my online store at Suzie Mahony Designs and have your hat delivered to your door. I hope you enjoy the festival which starts this week. ! !